People who love punk rock music often want to dress and act the part. Punk rock itself is a genre of music that also has its own cultural look and feel. People who subscribe the punk rock way of life may want every detail of their own lives to mirror the music they love. If you count yourself as a true follower, you can shop online for gear like girls punk clothing and even housewares when you visit one of the music genre's online stores. Dressing like a true punk rock fan may go beyond shopping at your local big box stores or mall retailers. These locations may not sell anything remotely looking like punk rock clothing. Instead, you may find clothing that is true to this genre of music by visiting the website and filtering your search for your particular shopping needs. For example, if you want to find tops that will match your particular style, you can use the Clothing by Category link. This link will take you to a page that is full of shirts, as well as pants, skirts, jackets, and even lingerie made in the punk rock fashion. You can also find guys' clothing like shirts, neck ties, and even scarves and gloves. These clothing selections come with pictures that you can click on to see what they look like up close. You can also find the pricing for each apparel item listed on the website. Along with clothing, you may be interested in shopping for the latest punk rock music. The site is set up so that you can look for new releases and vintage music collections. You can find CDs made by new artists and records that were made back when punk rock first hit the pop culture scene. You can also find unique housewares that you can use in your home. One-of-a-kind selections like wall clocks, throw pillows, and even rugs can be found on the website. These accessories and housewares allow you to immerse yourself entirely into a music that has been around since the early 1970s. It was another shopping day for me and my sis yesterday. Guess where we went to? At the chemist warehouse in Campbelltown. 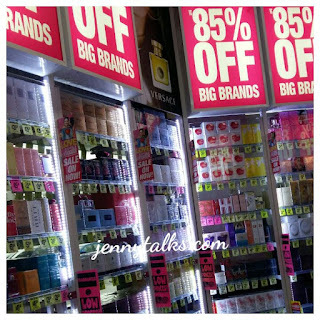 My eyes feasted over the wide selection of perfumes.. even the branded and expensive ones are on SALE..... read.. SALE! I was so tempted to buy perfumes again but I already bought Calvin Klein's Euphoria, my fave scent, last december. Also bought it at the chemist warehouse store but in Blacktown. I just looked over the massive collection of fragrances and was excited to see them on sale. aww.. If only I can buy a lot of them as they are cheap! I was looking for some great deals on lipsticks but they are only 25% off. You know that going to the dentist is something that you need to do. In fact, you probably know that you should be doing it more than you are. If you’re one of the millions of Americans who doesn’t go to the dentist every six months, you could be putting your dental health at risk. However, finding the right dentist for you isn’t always easy. Use this guide to help you learn more about finding the perfect Brooklyn NY dentist to suit your needs. You’ll look and feel better when you visit the dentist regularly. When you’re trying to find a dentist, one of the most important things you can do is ask people you know for a referral. Whether you turn to friends, family or even your coworkers, most people are going to tell you how they really feel about theirs. If a person doesn’t like the dentist they go to, they’ll probably tell you that he or she isn’t the best. You can cross those people off your list now. When somebody tells you they have a great dentist, those people are ones you should deal with. Sometimes personal referrals really are the best way to find what you’re looking for. Just make sure the person you’re asking is really a customer, not just somebody trying to promote their brother or cousin’s dental practice. Insurance plays a huge role in picking a dentist for most people. After all, dental procedures can be expensive, and even people with a decent income can find it tough to pay the whole bill at once. Try to find a dentist that is covered through your insurance plan, or if you don’t have insurance, consider getting it. Discount plans are also an option for many people, and unlike dental indemnity insurance, you don’t usually have to wait on getting work done at a reduced price. If you have dental concerns or work that you think you might need to get done, choosing a dentist can be a bit more difficult. Ideally, you should find a dentist who specializes in what you’re looking for. Do you need somebody for basic care and maintenance? Are you looking to get cosmetic work done? What about root canals and emergency treatment? Evaluate your needs before you choose a dentist. Still here at my vacation in Australia and one of the many things that my sister and her family loves doing is to watch a soccer game. 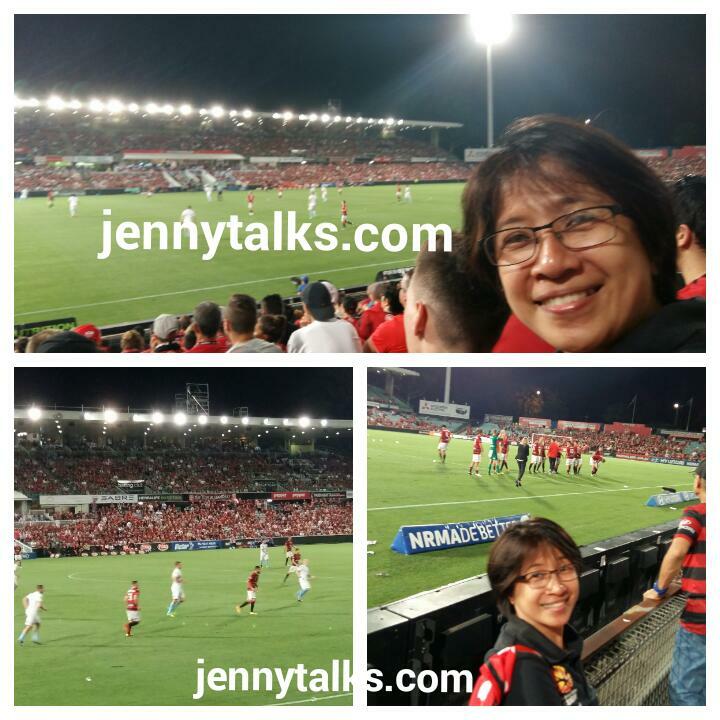 Yesterday, we went to see the match between Sydney Wanderers vs Melbourne City at Parramata Stadium. 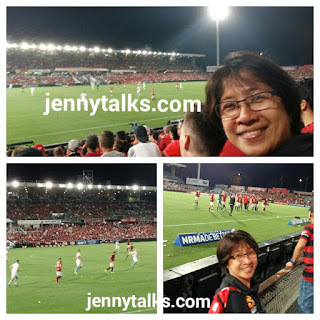 The stadium is not that full but had 14K plus attendance. After a family member passes away, there are a few options that you have when it comes to what is done with the body. You can have a traditional funeral with a casket so that the loved one is placed in a cemetery. This is common and offers a way for others to go to a place where they can place flowers on a grave or see a memorial for the person who has passed. Another option is cremation. This is less expensive, and instead of keeping the remains in an urn, there are a few other ideas that you can do with the remains so that the person is still close to you. A keepsake bracelet is one option that you have when it comes to the ashes. There is a small amount placed in a bracelet, and the remaining ashes are often buried, placed in a mausoleum or scattered. If the person had a favorite place to visit while alive, then scattering the ashes there would be a way to remember the positive things instead of thinking about the pain that is often associated with death. Another option that you have after getting a piece of jewelry made is to bury the ashes in an urn at your home. Find a tree in the backyard, create a stone memorial so that you have a marker, and bury the urn under the tree. You can also create a garden with a bench and flowers so that you have somewhere to sit while you are remembering your family member. Some people will use the ashes as a base for a tree. There are companies that will use the ashes to create a sapling that can be buried at your home. This can be a symbol of new life from one who has passed away. If you want to do something that is symbolic of the person leaving their earthly home, then consider placing the ashes in a helium balloon, and let the balloons float through the air. You can attach a note to the balloon about what is inside or simply say that you love the person who has passed. I'm still on a holiday here in Australia and it's my 4th time to be here. It's always nice to come here as I call it my second home. I was fortunate enough again to stay here for 3 months until Feb. 21 and I'm really enjoying my stay. Sis stayed while the kids and I are already sleeping already. HAPPY NEW YEAR all!